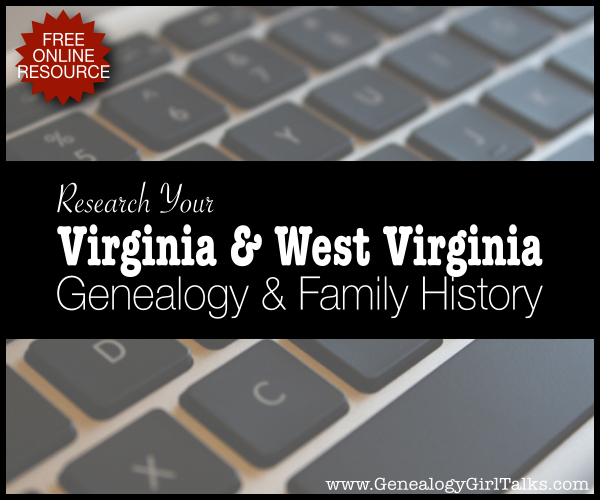 The West Virginia Division of Culture & History has put together many vital records (birth, marriage, and death records) for individuals to search. Keep in mind that there are times you will hit the jackpot and other times you will not. If you have history in the state of West Virginia you will be drawn in to the over abundance of information found here, but if you are simply looking for the records mentioned above, here are the steps to take. 1. At the top of the page is a link titled “Archives and History” – click on that link. 2. Scroll down (close to the bottom) and you will see a link titled “Births, Deaths, Marriages (database)” This is the link you will use! Go ahead and click on that link and you will land on the search page. 3. You have now landed on the “Vital Research Records Search Selection…” page. There is an link to a Guide to the Vital Records Research Project (pdf format) near the center of the page. Click on this for more information and an instruction manual to using these searches. For a shortcut to the Search page (and to bypass the steps above steps), simply CLICK HERE and you will be taken directly to the page. Now that you are on the page, what are some tips and tricks to navigate your search and to quickly gather your information? Click here for helpful tips and advice! Click HERE to go to The West Virginia Division of Culture & History website. Thanks for stopping by and keep searching, you never know what you will find!